Calgary, AB (Feb 6, 2019) – In early January STEP’s new COMMAND CENTER-IQ, C25, set off on its maiden voyage for a client in northwest Alberta. During the operation, downhole milling efficiencies were gained by using valuable downhole data retrieved in real-time and from the customizable automation parameters which is a standard feature of the new unit. It has since performed a second e-coil milling operation for the same client using STEP-conneCT – STEP’s real-time data acquisition tool. “The client was extremely pleased with the performance of the equipment and crews,” says Todd Rainville, vice president of sales and engineering. 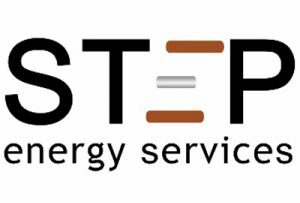 “Our clients are impressed that STEP continues to deliver innovative equipment given the challenging times in the energy industry. We are the only service company providing real-time, bit face measurements, allowing our clients to make decisions with certainty, rather than relying on surface data alone,” adds Rainville. This is the second piece of new equipment the company has released in 2019, along with the STEP-XPRS fracturing spread. To learn how real-time data can save you time and improve your operations, email sales@step-es.com and one of our technical sales representatives will get back to you with a solution.